"The greatest desire of every company is to have satisfied customers." We are promoting Callexa Feedback with this sentence. For us, this is not just a sentence, but the goal. We have consistently collected your feedback, ideas and suggestions for improvement. 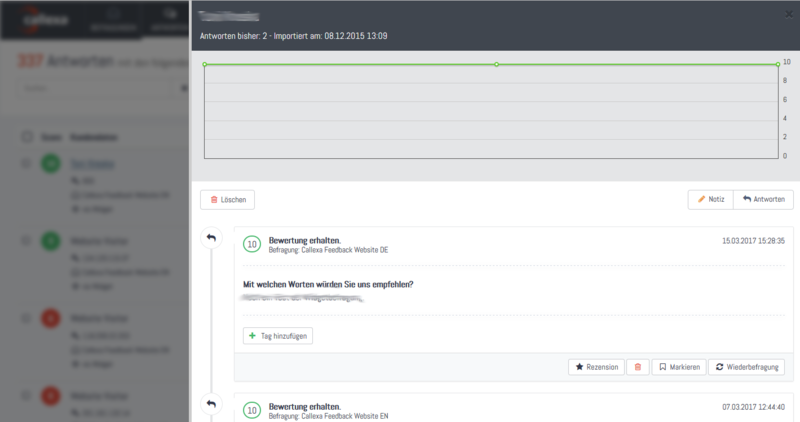 Now it is time to present the new version of Callexa Feedback. The new Callexa Feedback is slimmer, faster and clearer than its predecessor. The focus was set on a structural update that puts Callexa on a more robust footing. The main focus here is on the optimization of user management, data processing and data connection of external systems. The process has changed noticeably, especially in the area of survey-making and the replies. The most important points are now visible at a glance and thanks to the horizontal arrangement of tabs, the creation of your campaign is made even faster and the later administration clearer. Be sure to save any changes made before you move from one tab to the next. You can also access the "Integrations" tab directly from these tabs. The new overview of the available integrations allows fast selection and connection to the external systems. 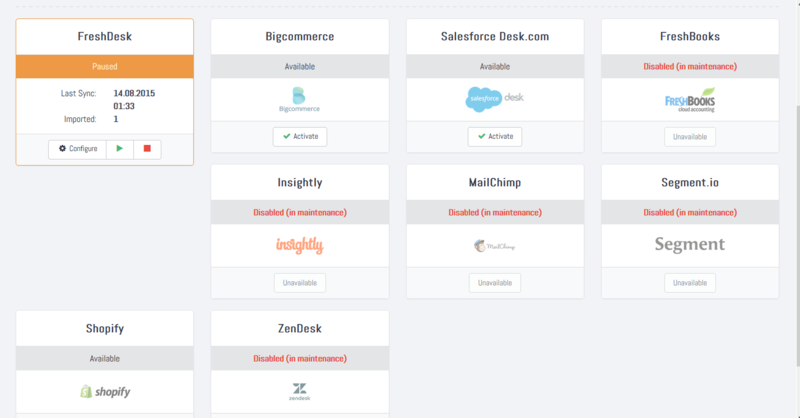 Please keep in mind that Callexa Feedback can also be connected to vendors who do not provide native integration with help of the Zapier interface. Please contact your service provider to find out if Zapier is available for the service of your choice. The answer function is the most important tool for your marketing as well as customer care after the actual NPS survey. With the newly designed list, you will immediately receive all important information about your customer. With just a few clicks, you can distinguish promoters from detractors, initiate resurveys, and engage directly through personalized emails. The extended view gives you an overview of the development of your customer. The survey history as well as the statistical evaluation process show whether the customer is still satisfied or if further measures are necessary. We hope you will enjoy the new version. If you have any questions or problems, please contact us. In our today's edition of Callexa Feedback Integration series we want to introduce the service AWeber closer. Datadog is a SaaS-based monitoring and analytics platform for IT infrastructure, operations and development teams. It brings together data from servers, databases, applications, tools and services to present a unified view of the applications that run at scale in the cloud. See across systems, apps, and services. Datadog gathers performance data from all your application components. More than summary dashboards, Datadog offers all high-resolution metrics and events for manipulation and graphing. See graphs across sources in real-time, Slice data by host, device, or any other tag, Compute rates, ratios, averages or integrals and easily customize views. Datadog supports full-text structured search over all the event data it integrates, allowing you to overlay metrics and events across disparate sources, see who did what, in context, zero-in on the right code changes, relevant config updates or scheduled jobs and correlate and find the root cause! System events and metrics are only part of the story. Datadog is built to give visibility across teams. Discuss issues in-context with production data. Annotate changes and notify your team. See who responded to that alert before and remember what was done to fix it. With Zapier, the integration of Callexa Feedback Customer Satisfaction Analysis into Datadog can be done easily. The analysis could for example be initiated after any chosen event. The data is transfered to the respective campaign in Callexa Feedback and the client receives the survey according to the campaign settings. With the integration via Zapier it's possible to transfer all your Datadog Client data to Callexa Feedback and survey them automatically. Following the successful survey, visitor satisfaction is determined and evaluated with the help of NPS. After the customer has given his feedback you can publish it quickly and easily on your website. You can find the Callexa Feedback NPS App for Zapier / Datadog here. In our today's edition of Callexa Feedback Integration series we want to introduce the service Mailjet closer. Mailjet is a cloud-based service allows you to send your transactional messages as well as your marketing campaigns. Create your account in a few clicks and send your first messages in minutes! Mailjet is a powerful email service provider that ensures maximum insight and deliverability results for marketing and transactional emails. Founded in France in 2010, Mailjet serves more than 100,000 clients worldwide in 156 countries, sending close to 1 billion emails every month. The Mailjet analytics tools and intelligent APIs offer the flexibility to create, send and optimize email for all. While marketers are accountable for the results of their email strategies, they often lack full control and need development resources to achieve their targets. Mailjet provides users with an intuitive tool to create automated email workflows. Marketers can create scenarios on their own, or ask their developers to create tighter integrations with our robust APIs. Email Automation is ineffective without world-class deliverability. Our unique technology and our global deliverability team work tirelessly alongside you to make sure your automated messages land exactly where they belong: in the inbox. Being able to automatically engage with contacts at key moments is key for long lasting customer relationships. Create automatic customer-centric communications to seamlessly increase the KPIs that matter to your business. Don't guess when you can be certain. Run an A/B test to find the best time, subject line or call-to-action to engage your customers with. Or, for more advanced senders, use our A/X testing tool to run multivariate testing to experiment with up to 10 variations. The success of your email program goes beyond individual campaigns. Campaign Comparison helps you build the bigger picture by grouping like email campaigns and averaging results to create benchmarks. Compare multiple benchmarks to find trends across customer demographics, send time and more. 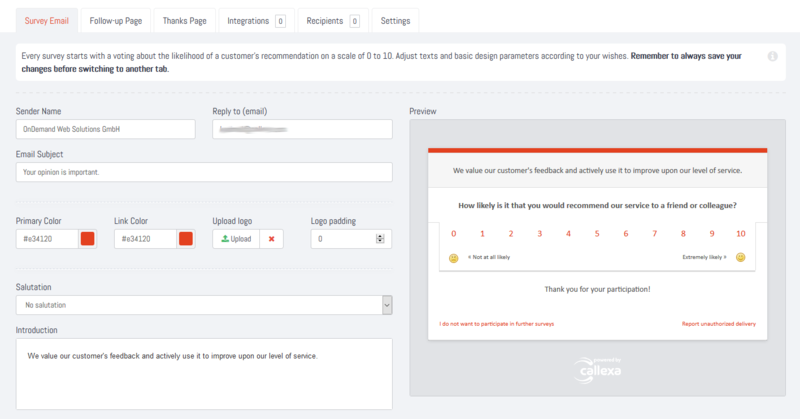 With Zapier, the integration of Callexa Feedback Customer Satisfaction Analysis into Mailjet can be done easily. The analysis could for example be initiated after the client received the marketing Email. The data is then transfered to the respective campaign in Callexa Feedback and the client receives the survey according to the campaign settings. With the integration via Zapier it's possible to transfer all your Mailjet Client data to Callexa Feedback and survey them automatically. Following the successful survey, visitor satisfaction is determined and evaluated with the help of NPS. After the customer has given his feedback you can publish it quickly and easily on your website. You can find the Callexa Feedback NPS App for Zapier / Mailjet here. In our today's edition of Callexa Feedback Integration series we want to introduce the service 10to8 closer. 10to8 is a online scheduling and appointment reminder software system, built to be easy to use for businesses. It comes with a web-based booking calendar, for you and your clients, and supports email and SMS notifications. 10to8’s software allows customers to book or update appointments with you or your staff, whenever it’s convenient for them, so they don’t have to wait to call during your opening hours. Its automatic appointment reminders have been shown to cut no-shows for businesses to 1 in every 900 appointments! With a professional, mobile-friendly web page, new customers will also be able to find you on Google, as 10to8 is search engine optimised. 10to8 gives you a free website for your business in just five minutes! Customise your page with your company’s branding, and add unlimited services. Customers can then book services right from your profile page. Reduce the cost of coordination with automated texts and emails. 10to8 is the only booking system that talks to your customers (and lets them talk back). Send messages to your customers, and let them contact you too. With Zapier, the integration of Callexa Feedback Customer Satisfaction Analysis into 10to8 can be done easily. The analysis could for example be initiated after the appointment. The data is transfered to the respective campaign in Callexa Feedback and the client receives the survey according to the campaign settings. With the integration via Zapier it's possible to transfer all your 10to8 subscribers to Callexa Feedback and survey them automatically. Following the successful survey, customer satisfaction is determined and evaluated with the help of NPS. After the customer has given his feedback you can publish it quickly and easily on your website to convince new customers of your service. You can find the Callexa Feedback NPS App for Zapier / 10to8 here. In our today's edition of Callexa Feedback Integration series we want to introduce the service Megaventory closer. Ever looked for a solution that helps you organize your inventory and optimize sales? With Megaventory you can now achieve this. Thanks to the clean and simple interface SMBs get a reliable and easy to use solution they can acces from alomost anywhere. Manage stock, cost and reports with only a few clicks. No more inefficient handling of your inventory and customer orders. Manage everything, from Inventory, Manufacturing, E-Commerce to Sales, even through the implemented API through Megaventory. With Zapier, the integration of Callexa Feedback Customer Satisfaction Analysis into Megaventory can be done easily. The analysis could for example be initiated once an order has been processed and delivered to the client. The data is transfered to the respective campaign in Callexa Feedback and the client receives the survey according to the campaign settings. With the integration via Zapier it's possible to transfer all your Megaventory subscribers to Callexa Feedback and survey them automatically. Following the successful survey, customer satisfaction is determined and evaluated with the help of NPS. After the customer has given his feedback you can publish it quickly and easily on your website to convince new customers of your service. You can find the Callexa Feedback NPS App for Zapier / Megaventory here.